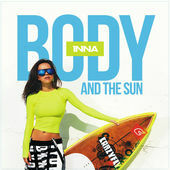 INNA Releases Album Preview for her upcoming album release titled Body And The Sun. Her fourth album is set to have a Japan Release first on July 31st and then Worldwide on September 15th. Really loving the track listing! Some favorites are: Yalla, Rendez Vous, Fool Me, Body and the Sun, Sun Goes Up.